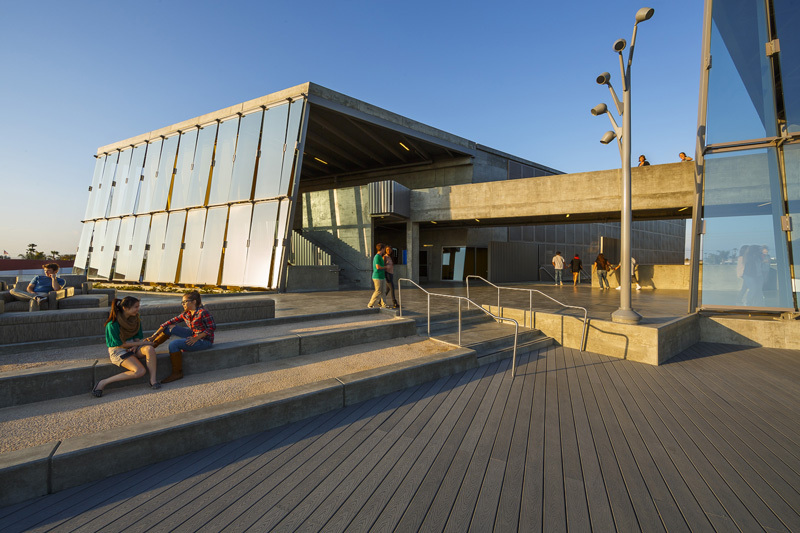 LPA receives an AIA CAE National Design Award for Newport Beach’s Coastline Community College. To fit an entire college campus in just 66,800 square feet, the design team chose to build up and take advantage of coastal views. We are truly humbled, because these awards represent not just the best work, but examples of where we’re headed in designing physical environments for people throughout the country, with the focus on education. 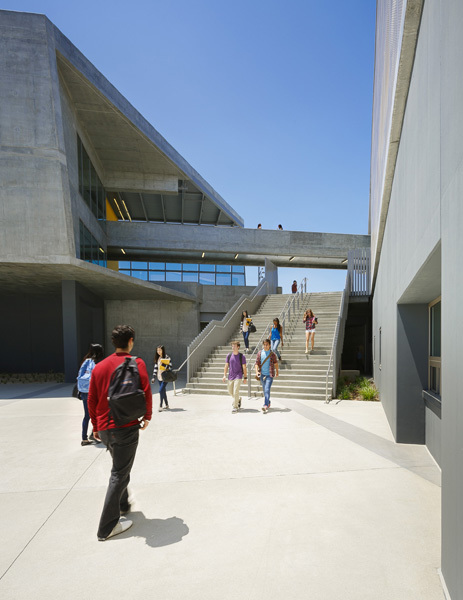 LPA is pleased to announce the AIA Committee on Architecture for Education (CAE) has given the National Design Award to Coastline Community College, Newport Beach Campus. Coastline's Newport Beach Campus is, essentially, a whole collegiate campus in a single facility. 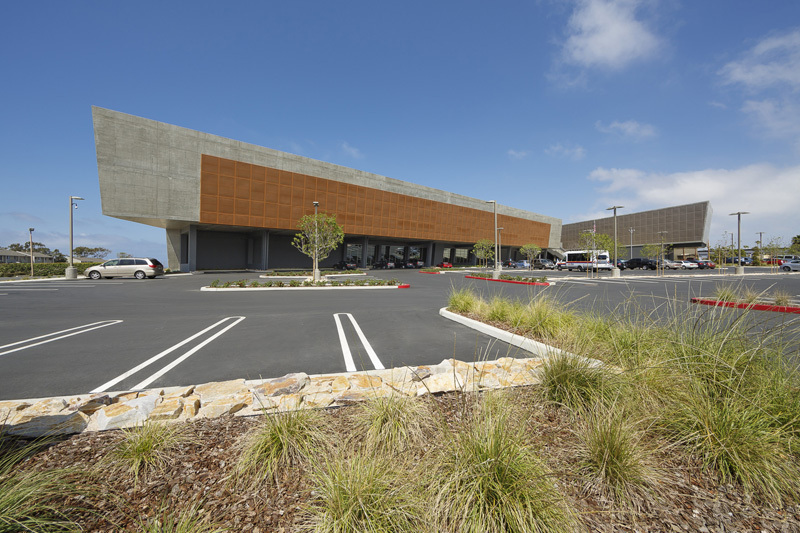 With 66,800 square feet, the building is three stories high and has an undeniably attractive setting in the coastal region of Orange County. The site’s mild climate is utilized by the building’s unique, modern design. 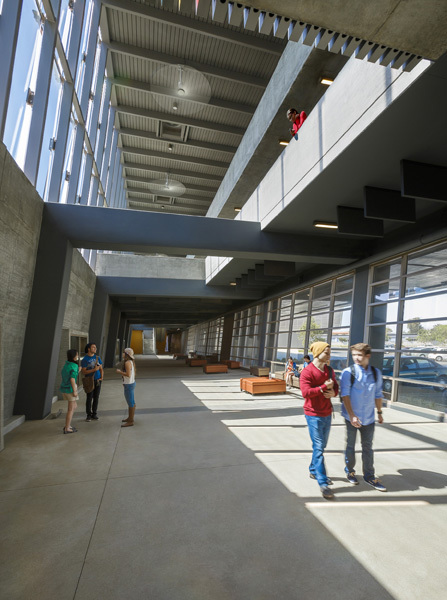 Classrooms are naturally ventilated, daylighting is optimized, and building occupants can enjoy a balance between nature and high technology. 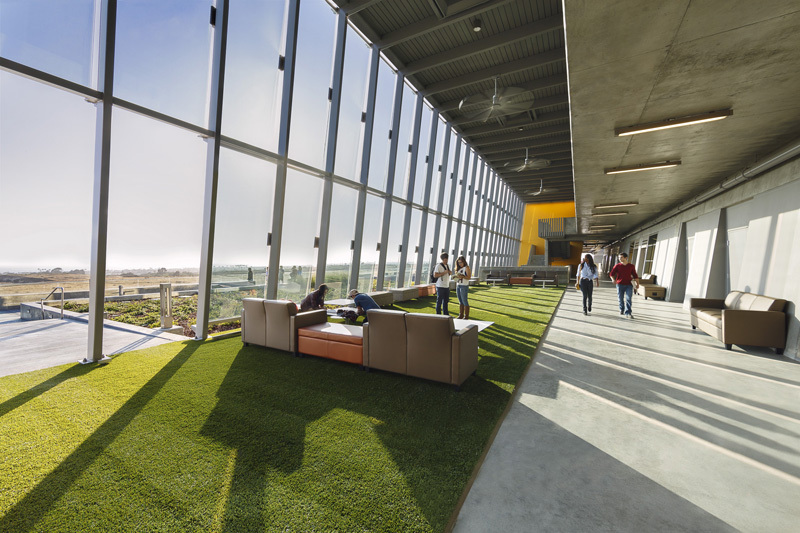 The facility’s purpose, to be a setting where students and employees can reach a better life through education, is fulfilled through smart design and green engineering solutions, not to mention the “gifts of the site” – ocean breezes, views, and sunlight. Carels says these gifts were incorporated into the building in such a way that they seem inherent rather than “tacked on” or obtrusive. He mentions that studies have shown learning is positively affected when there is a sense of connection to nature. Flanagan sees the ocean-side location as key to success in learning, and also as a tool for student and employee retention for the community college. “How many community college campuses are within what appears to be arm’s reach of the ocean? I think that was really the drive behind the design and now the success of this project,” he says. With a lush rooftop garden and ocean breezes in the indoor/outdoor lobby, some of the building’s sustainable features are obvious. Other green engineering and design elements, like stormwater management, aren’t noticeable but play a huge role in the project’s minimized impact on nature. Underneath the parking lot, a water-detention system utilizes CUDO cubes to collect rainwater and allow it to percolate back into the soil. “Even after it’s been built on, the site still performs, in regard to stormwater runoff, as it did in its natural state,” says Carels. 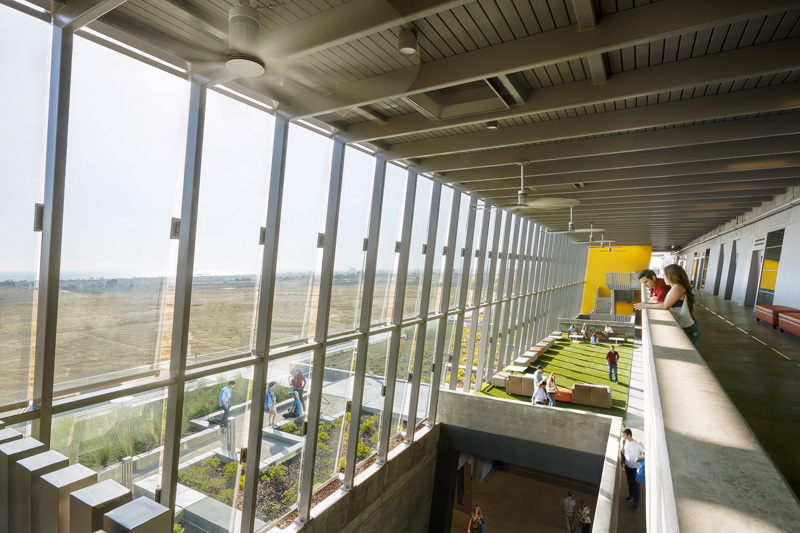 “That’s just one aspect that makes this building an example for others of how to build sustainably in California for higher education.” The facility’s sustainable construction achieved a LEED-Gold rating from the U.S. Green Building Council, and the building exceeds California’s stringent Title 24 energy code by more than 33 percent. When the project commenced, the college’s main goal was embracing the idea of community. “The solution to that,” says Carels, “was a building intended to be an example of sustainable design in a higher education environment, and, secondly, to offer classes and other opportunities to the community to draw them there.” A gallery of work by community artists (some of them Coastline graduates) welcomes visitors on the ground floor on an edge of the building that will eventually act as a gateway to the community. “This celebration of people that come through the facility and now contribute back to the community is really powerful,” says Carels. 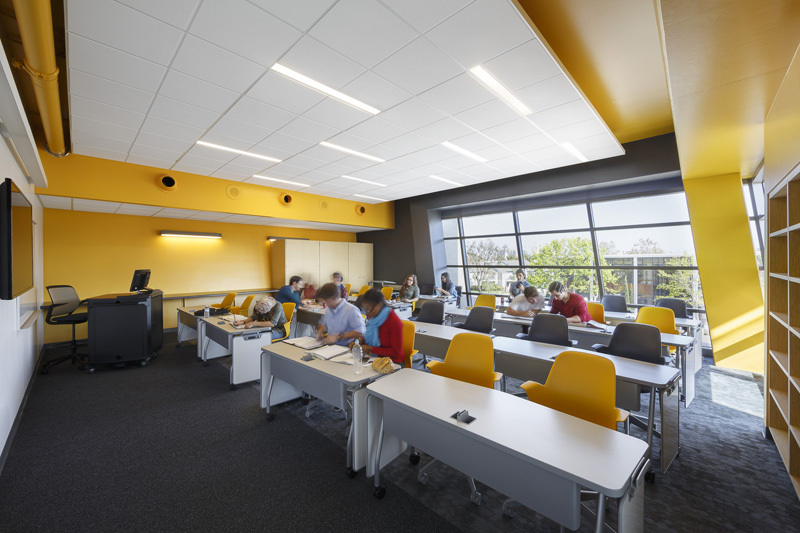 The intentional design of the building was captured by the design awards jury, who commented, "In a single gesture, this learning center establishes an entire community college campus. A clearly articulated, linear schema mediates between a national preserve bordering the ocean and an industrial area beyond." Jurors also took note of the connection between indoor/outdoor educational and social environments. They continued, "The multi-level interior atrium acts as the social hub and mediates between classrooms, gardens and adjacent parking to create a cohesive experience. The simple, bold form of the extruded section is elegantly articulated through the carefully edited material palette of glass, perforated metal, concrete and wood." For more information, or to sign up to take a tour of the Newport Beach Campus at Coastline Community College, visit coastline.edu. The American Institute of Architects Committee on Architecture for Education (CAE) is the largest single organization in North America that is the authoritative voice on the planning and design of learning environments for all age groups. 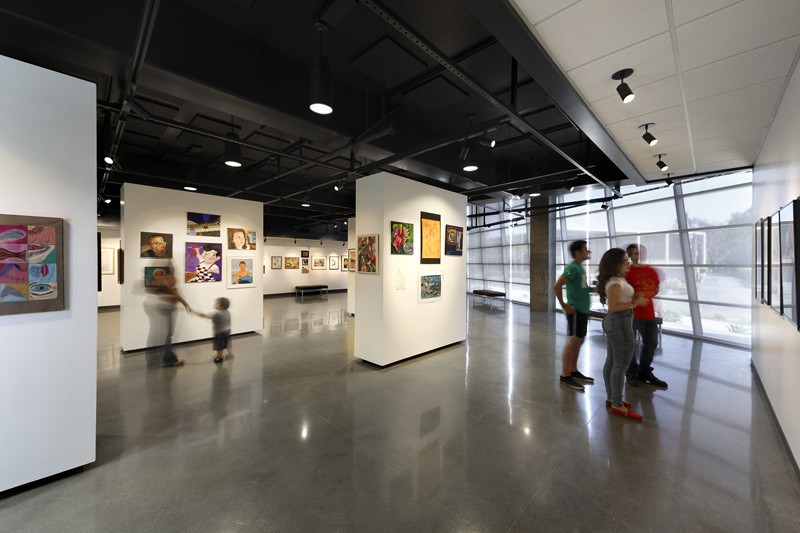 Connecting more than 7,500 architects and allied professionals interested in designing, building and using superior educational, cultural, and recreational facilities, CAE members educate the public about the value of quality educational facility design. For more information about the CAE, please visit http://www.aia.org/cae. Founded in 1965, LPA has more than 200 employees with offices in Irvine, Roseville, San Diego and San Jose, Calif. The firm provides services in architecture, sustainability, planning, interior design, landscape architecture, engineering, and graphics. There is no “Sustainability Director,” at LPA. Instead, more than 80 percent of the professionals are LEED accredited, including the Human Resources Director, CFO, and several other support staff. 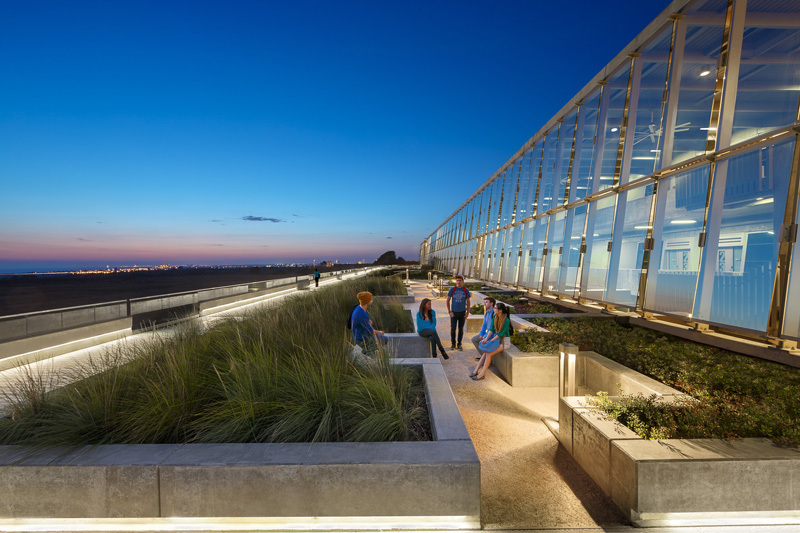 With extensive experience in public and private architecture, LPA designs a diversity of facilities that span from K-12 schools, colleges and universities, to corporate and civic establishments. More than 500 major design awards attest to LPA’s commitment to design excellence. For more information, visit LPAinc.com.